There is a slight blemish on the right hand sleeve shown in pictures and 2 button's missing on the back. 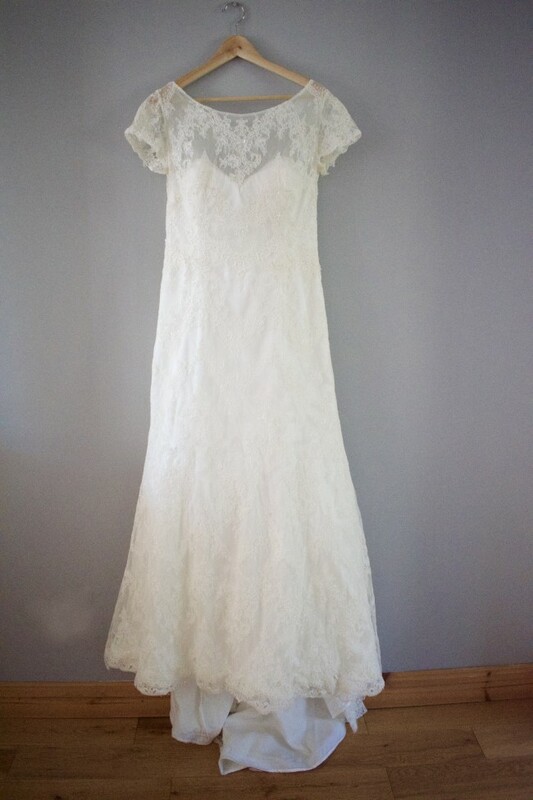 The dress has only been worn once and has been professionally cleaned. The dress will be delivered/collected with the box shown in the pictures. Once you send a message, Debbie can invite you to purchase the dress.